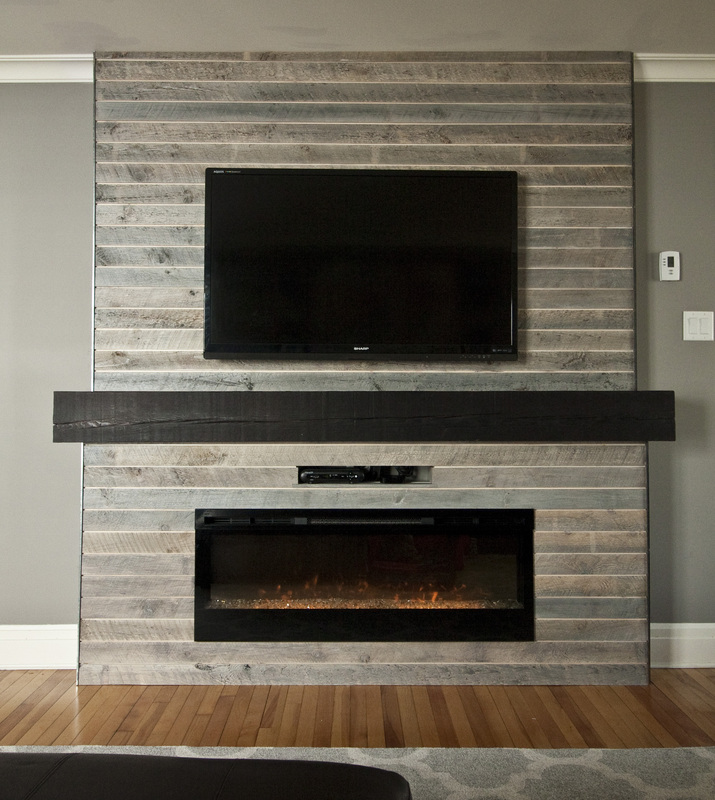 Our client was looking to substantially upgrade their space with the addition of a custom built mantle place. 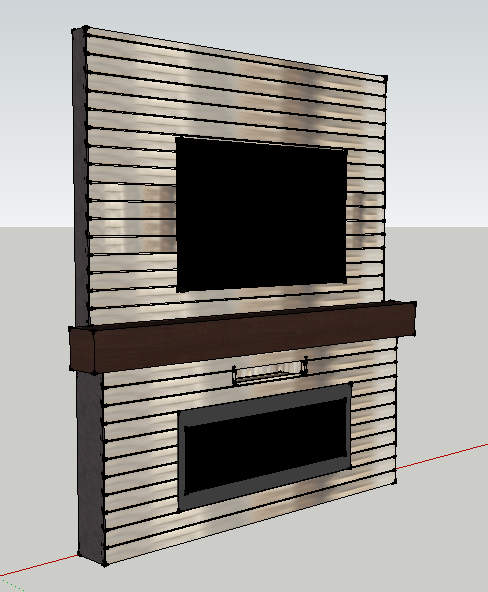 They wanted to incorporate an electric fireplace and their flat screen TV. 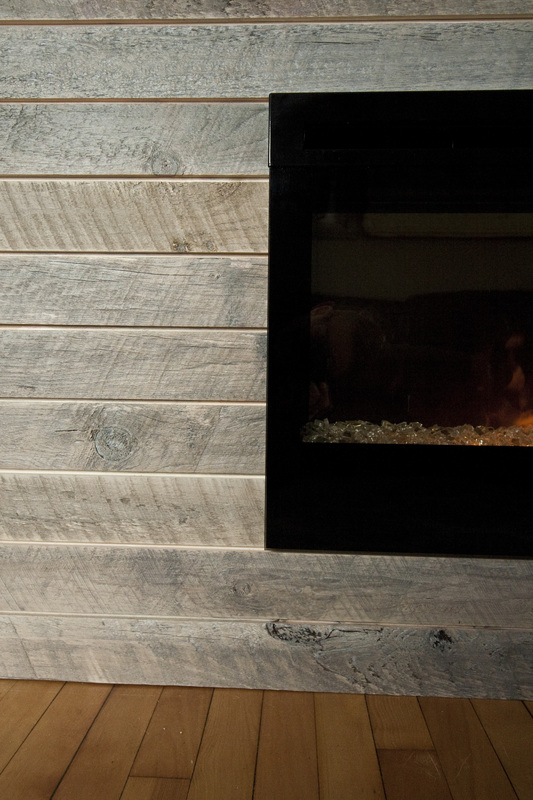 We helped them design a mantle place the incorporated their wish to have weathered wood featured, as well as raw steel plates to really deliver a richly textured and elegant focal point to their living space. 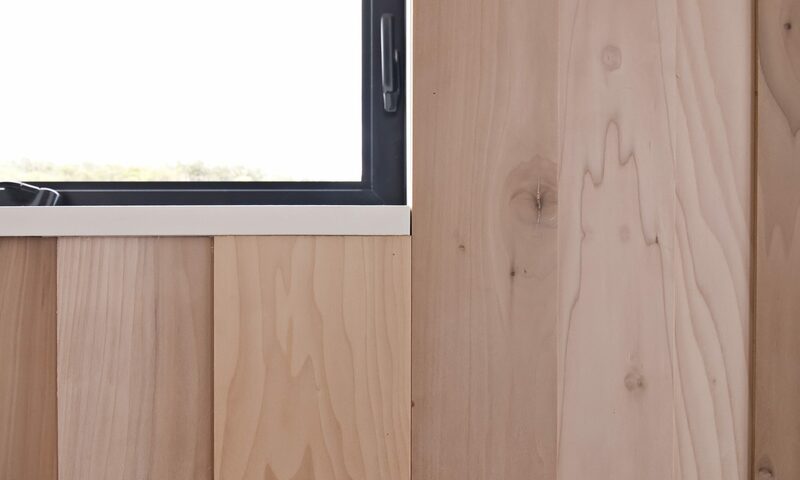 The design work for this project was mostly focused on the balancing of proportions. 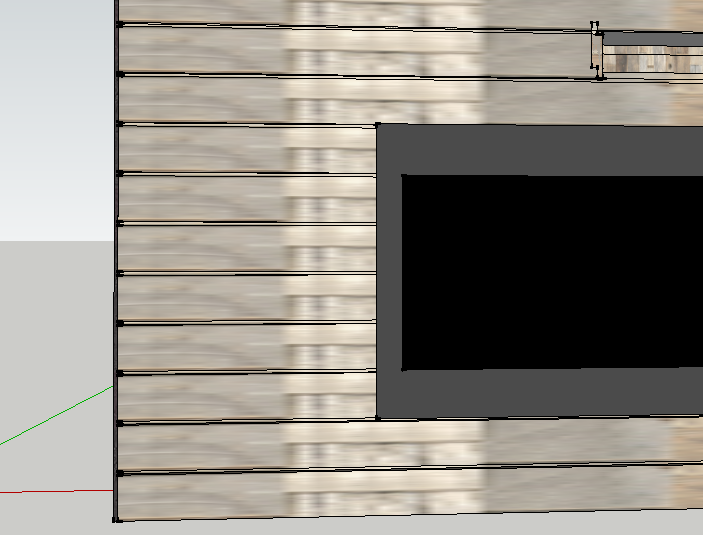 Getting the placement of the appliances to balance with the mass of the mantle piece, as well as getting the mantle piece to balance within the room itself. On top of this, careful consideration had to be given to the material choices. 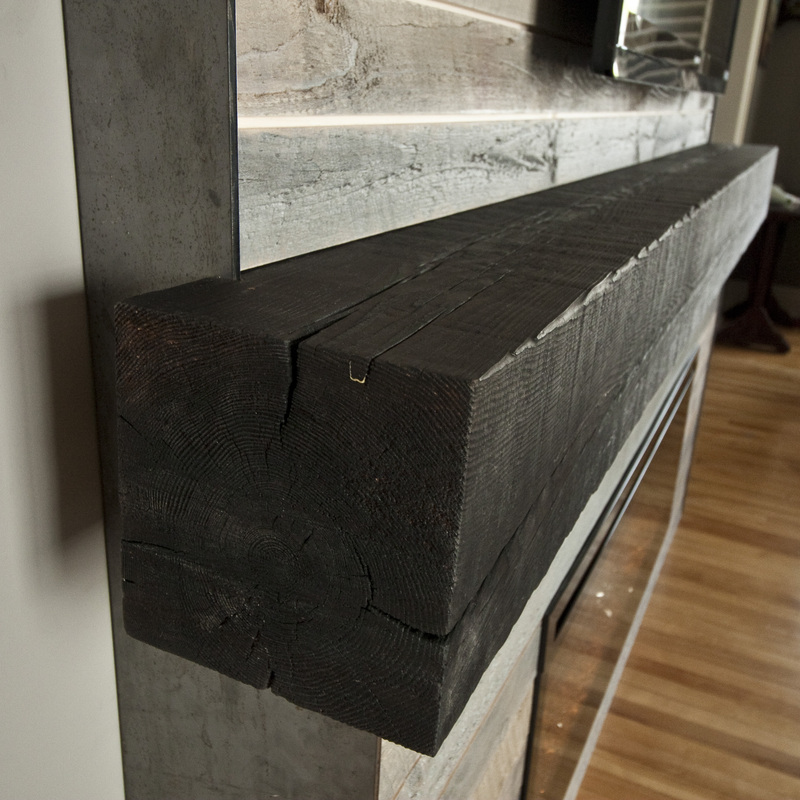 The mantle place itself is an 8 x 8 scorched hemlock beam. 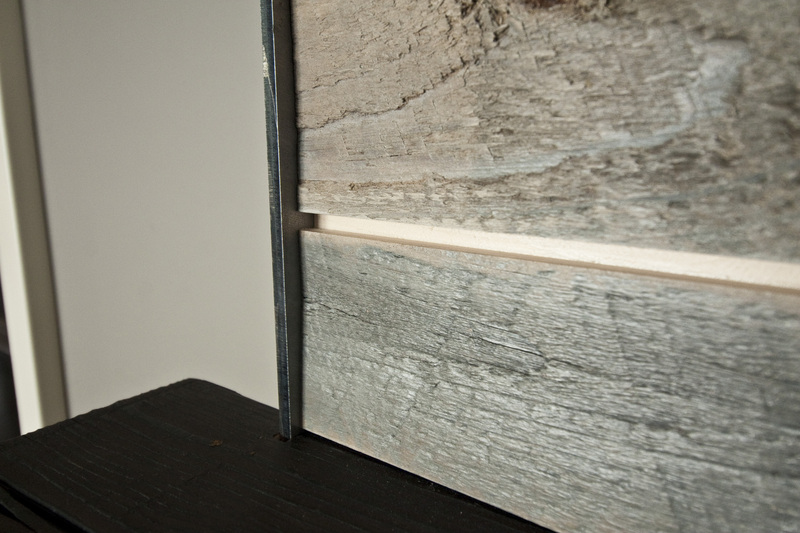 The cladding elements are ship lapped, white washed barn boards, and the end panels are 1/8th inch thick raw steel plates. 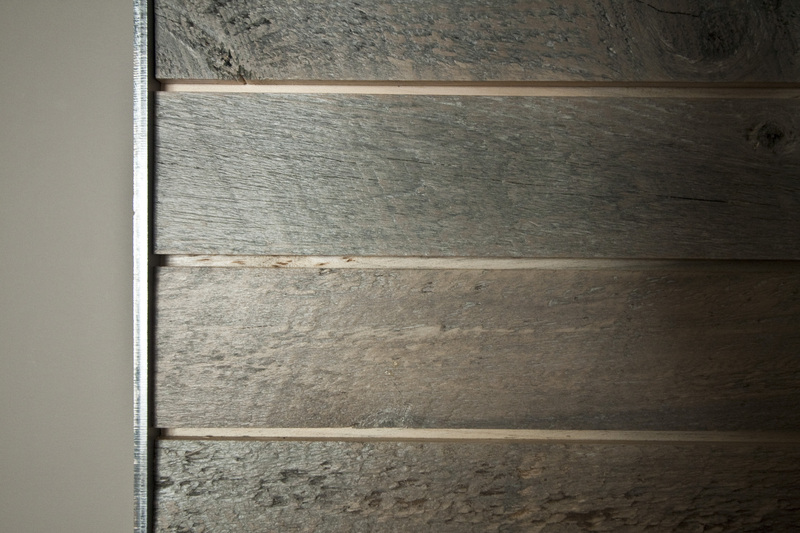 Three very rugged, organic, and handsomely textured choices that just sing so well together. 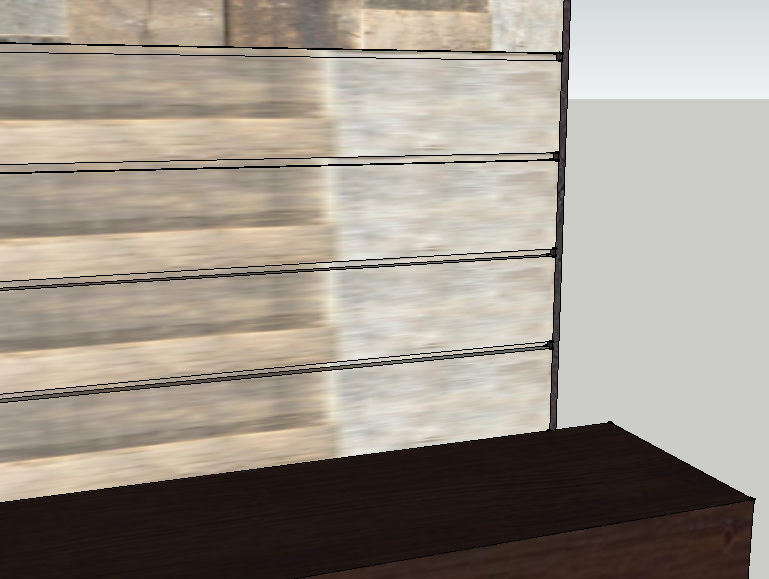 Close up of the intersection between cladding, steel and mantle. 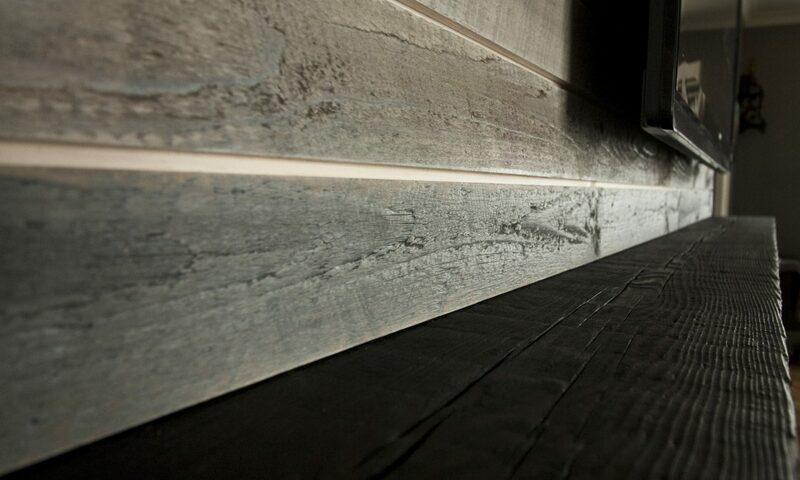 The ship lapped profile of the wood gave the finished product a very clean and graphical feel. 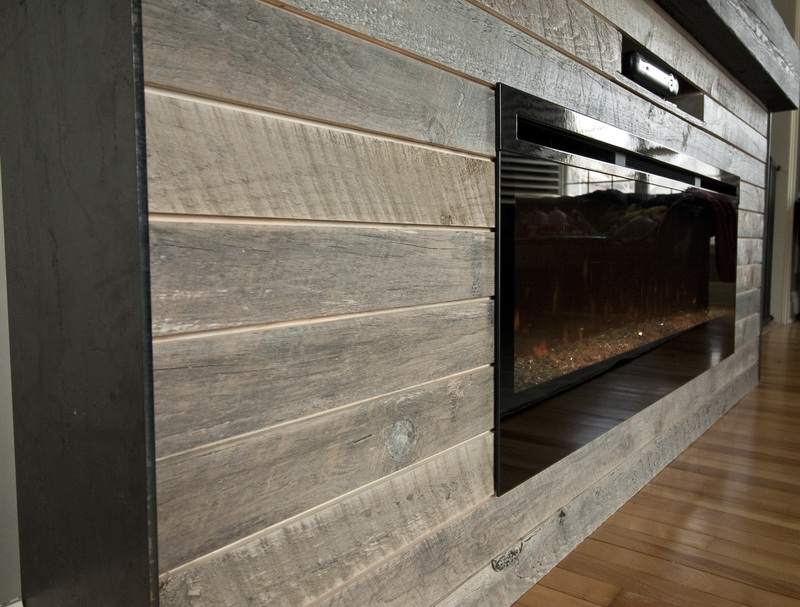 One of the bigger design considerations was ensuring that the seams of the cladding would align with the top and bottom of the fireplace appliance. Thus giving it that sense of intentionality and consideration that is rarely met.